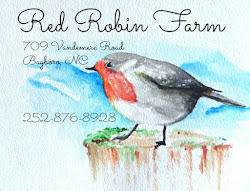 Red Robin Farm: Here's to Better Ceilings! What's happening on the farm? Inside the house, our contractor is trying to make progress. 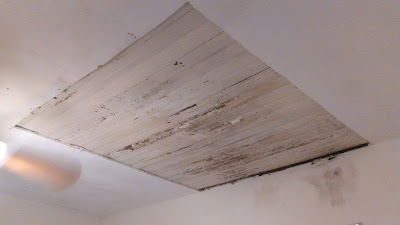 He cut out the damaged sheetrock in the living room ceiling. The next day (Tuesday) he put up new sheetrock and mudded it in. The roofer still has not come. It's not a big roofing job -- just repair work to a few spots up there that leak. Our contractor says he may just do it himself, rather than waiting. 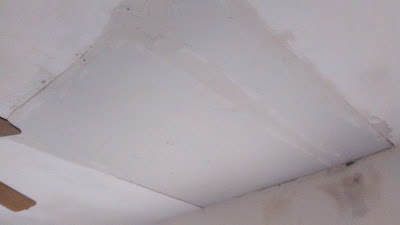 It's been raining on and off, and I wonder if that lovely ceiling work could be damaged. I hope he's put something into the attic to protect his work. 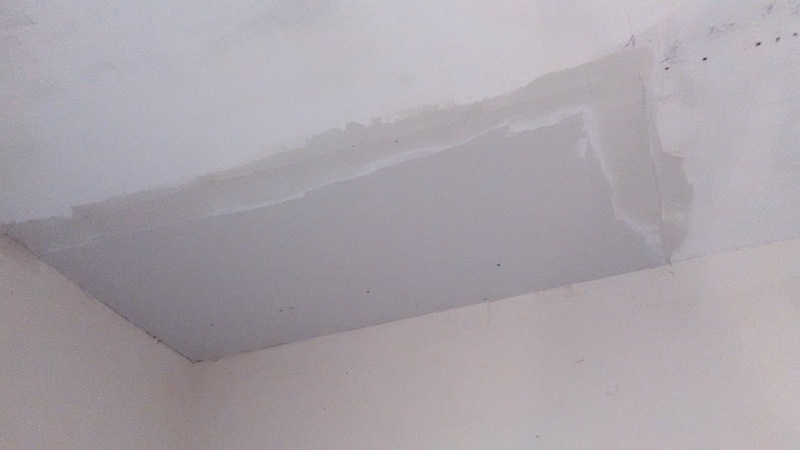 He's also finished scraping off all the popcorn texture on the living and dining room ceilings, and I'm pleased about that. 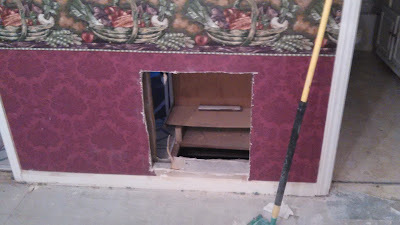 This afternoon he's working under the house to reroute the vent return in the dining room. Its new spot will be on the only interior wall long enough for my piano. This is a dark photo. 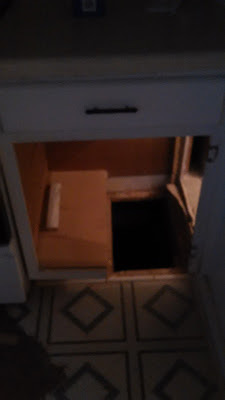 It's the kitchen cabinet where the new vent return will come from under the house. 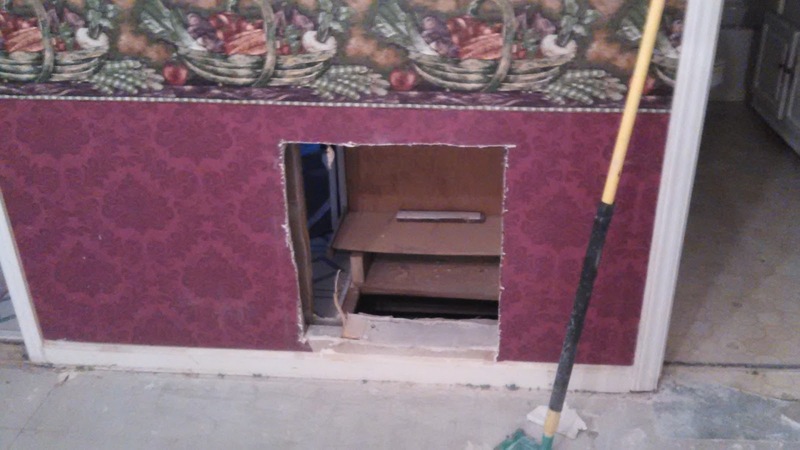 The hole on the right goes into the dining room. A portion of the cabinet will remain on the left, just enough to hold my cookie sheets and baking pans. Speaking of my piano, I'm still waiting to hear back from the mover who called me back yesterday and promised me that he would move the piano this weekend. He couldn't yet give me a quote. (ugh) Not sure how much that will set me back. They will drive from New Bern, and that will be pricier than if I could find a local mover. There just aren't any in the county. And really, we mostly know elderly people with bad knees. Or even not-so-elderly people with bad knees. 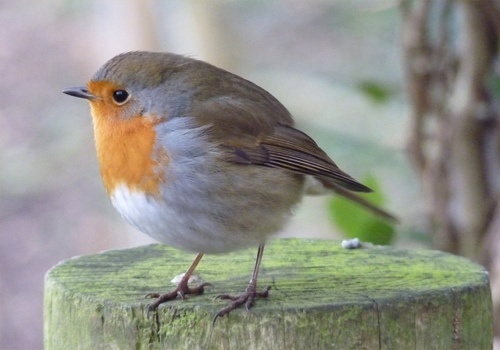 We've often just found a friend or two capable of moving it. Don't really know any 25 year old young men who can heft their end of a piano, and Adam says unequivocally that he cannot lift half of a piano anymore. His knees can't do it either! Here's hoping that the piano actually gets moved. Piano moving. I hope you find a good person to get your piano into your house, MK! So many projects. Praying for you guys. It doesn't sound like you'll be moving in tomorrow with all that you have going on. Hope your piano gets moved safely. Good to have the ceiling fixed. Moving a piano is quite an undertaking. Hope you get it moved safely.